“I don’t understand why I’m not getting results. I’m doing everything right, I don’t eat too much and I workout. Why am I not getting any results?” This is a question I hear often from frustrated, yet dedicated, fitness enthusiasts. They follow the rules, they do what they should do and yet things still fall flat. I myself have often had issues with lackluster results even though I was playing by all the rules. Few things are more frustrating than following the rules and still not getting what you want. Below are 6 of the most common reasons why you can follow the rules and still not achieve success. The biggest thing holding most people back is simply a slight deception between what they believe they are doing and what they are actually doing when it comes to diet and exercise. This filter can fog up your perception of what you’re doing and cause you to believe that you are doing what must be done when you’re actually doing something quite different. Some of the best ways to erase this deceptive barrier are to get an outside perspective from a coach or a trainer. These highly trained individuals can look at what you’re doing and assess your habits with a much clearer perception. You can also break down this perception barrier yourself with a few simple self assessment tools. The increase in smartphone technology has made this much easier with having a camera on hand during the day. You can snap quick photos of foods before you eat them as a visual food log which can be much more accurate and informative than a written food log. 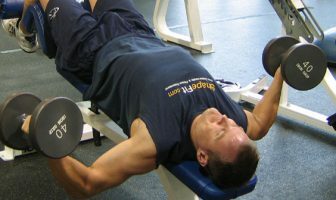 You can also use the video camera and video tape yourself doing basic exercises to assess your technique and workout form. Such simple tools can be like a wrecking ball to that deceptive fog that’s clouding over what’s really going on. It’s not uncommon for individuals to tell me that they don’t know why they are overweight even though they don’t overeat or they don’t eat very much food at all. They can’t understand why they have gained weight even though their diet is “clean” or they don’t eat too much. One of the biggest myths concerning weight gain is that you need to have a bad diet on a daily basis for it to happen. In truth, you can still gain weight even if your diet is all fine and good. Weight gain really is as simple as the amount of energy you consume versus the energy you expend. If the balance between the two remains the same, your weight will not change and this is the state that most people find themselves in most of the time. However, there is often something I like to call a weight gain event which is a short period of time where you overeat and consume more energy than you normally expend. Examples can include a big family dinner, a wild night out on the town, or even just a celebratory pizza party at the office. 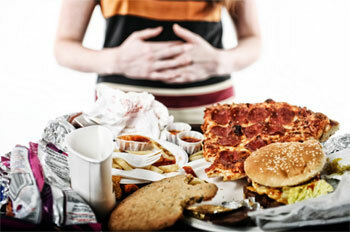 During these weight gain events you may consume anywhere from a few hundred to well over 1,000 extra calories. These events are short-lived and then you go right back into a modest calorie balance with your diet and exercise lifestyle. The thing is, those extra calories that you consumed during that short weight gain event are still in your body and now have made a small addition to the amount of body fat on your body. Over time, these short and brief weight gain events add up to some significant increases in weight gain. This is despite the individual having a modest diet and strict exercise plan for the majority of the time thus causing them to believe that they don’t overeat yet they still have gained weight. The solution of course is to counterbalance weight gain events with weight loss events. A weight loss event is just the same as a weight gain event. It’s a short period of time where you purposely have far more energy being expended by your body then is coming in. You don’t have to be on a constant daily negative calorie balance in order to lose weight. Selecting a few choice times to have a weight loss event can make it feel like you’re not doing all that much yet you still are able to lose weight. 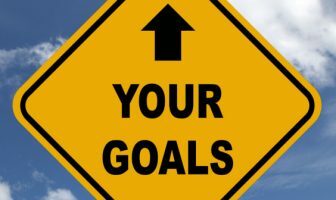 Most diet and exercise plans are based upon a rule or influence that while important, has very limited power to help you achieve success. These influences are usually very quick and simple rules such as making sure to exercise within a certain heart rate, follow a specific set or rep routine, or stay away from certain foods like sugar. These rules or influences can be important and they can bring you some results. However, they can only bring you so far. Once you have fully satisfied that rule, you stop progressing. This is how you can follow the rules to a T and still not be getting anywhere. It’s because that rule is only mildly influential and is not fully in control of the results that you seek. The solution is to understand that there’s more to exercise than a couple of simple little rules or dogmas. There’s more to your weight loss and healthy diet plan than just making sure you don’t have the donuts in the break room. Becoming too focused on these rules gives you a very limited selection of things that you can do to keep progressing. Understanding that there’s much more to the story then these rules blasts your potential for success wide open. A lot of times people will put their hope and faith in whatever diet or exercise program their peers have achieved success on. Other times, people may select methods that have worked for them in the past. In both cases the person is basing their plan on what has worked under a different set of circumstances than what they’re currently facing. Your friend has a different lifestyle and different resources than you do. At the same time, the diet or exercise program that worked five years ago worked when you had a different set of lifestyle resources at your disposal. In both cases, your ability to achieve success is going to be slightly different based on the circumstances that you now face. 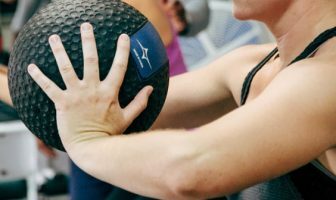 With this in mind, it’s helpful to use the fitness program that has worked for someone else in the past as a kind of template that you can adjust and play around with. Feel free to make adjustments to the rules into the plan to suit your requirements as you face them in the here and now. This one goes along the lines of “no pain, no gain.” It’s tempting to believe that the harder you work the more results you should expect. While that can happen, there’s no guarantee that more blood, sweat and tears will bring results. Working hard to avoid that donut in the break room brings about the same result as if that donut and the temptation wasn’t even there in the first place. In either case you don’t eat the donut although one is significantly more stressful than the other. The same can go with your workout routine. You could feel very tired and feel like you put in a good amount of effort because you’re stressed out and fatigued from not getting enough sleep the night before. Hard work is not always an indication of progress. We can fool ourselves into thinking that sweating a lot means we are burning fat, or that a burning muscle means we’re getting stronger. The key is to keep your focus on progressing your diet and exercise habits to a higher level. It doesn’t matter what the program feels like. If it’s not becoming progressively better then your results will continue to falter. But if you ask your body to perform at a higher level in the gym and you eat better, then your results will follow even if you don’t have the whole blood, sweat and tears thing going on. Lastly, one of the biggest things keeping your potential in check may be the fear to go a little bit crazy with your diet and exercise methods. Our fitness culture has many rules that are based upon the fear of what will happen if you overdo it. These fears keep your potential in check because, quite often, achieving a higher level of fitness requires going above and beyond what we perceive to be “normal”. The best way to break free of these fears is to understand that everyone has a different perception of what is normal and within their mental comfort zone. Some people would look at doing 100 push-ups a day as a normal workout routine while others would look at it and think the person is completely off their rocker. Others may have a diet which includes not drinking any alcohol or eating only past 2 PM. Again, these can seem extreme and rather crazy to most folks but then again what is normal and comfortable to our perception is often what is holding us back. You don’t have to go completely nuts to break a fitness plateau. However, it is worth mentioning that you may want to stretch the rules a bit and do things that might seem a little bit crazy. After all, crazy and extreme results don’t often come from normal and mundane fitness practices. Sometimes we just have to throw caution to the wind and go a little bit crazy to explore new frontiers of what we are capable of. It’s highly common to find that the rules you should follow are often the ones keeping your potential in check. They prevent you from going above and beyond what you’re currently doing which is exactly what you need to do to progress. Remember, fitness is a simple game of cause and effect. Put in the right cause and get the right effect. That’s the only rule you need to follow. Everything else is just details. Dancing Your Way To Fitness – So You Think You Can Dance?